Why do marketers get all the attention when it comes to articles and how-to’s about using social media to drive business? Today, we’re turning our attention to those who can reap immediate rewards from monitoring social media: sales people and anyone in a sales function – like you business owners out there. You’re the forgotten ones who hit the (virtual or real) pavement day after day, walking both ways UP HILL, in the snow, carrying a large sack of goods to peddle. Whether it’s on the phone, on email or on the street, we love the people who bring in the bacon. If you’re in a sales function or even a business owner and you’re not using the data your social media management software gathers for you, you’re missing out on a lot of low-hanging fruit. There are loads of potential customers right under your social media monitoring nose telling you what they want (and that they want it right now!). Don’t be the creepy online stalker company! 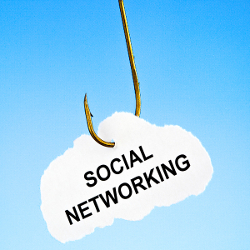 Discover how to find sales opportunities on social media and… most importantly how not to be that creepy guy. It’s free, so go ahead, knock yourself out! This is about finding people at their point of need and giving them a direct impetus to buy. It’s not necessarily brand- or relationship-building. Leave those conversations to your marketing people. One thing to keep in mind, if they’re just talking about cooking, pushing an offer for a knife comes across as creepy and intrusive – not the qualities you want people associating with your company. On the other hand, someone asking “How do I sharpen a dull knife?” is basically asking “Does anyone out there sell a knife that won’t go dull so quickly?” Lucky for you, Bad Mamma Jamma does. Send them an article with tips on sharpening their knife from the Bad Mamma Jamma blog and pair it with a coupon code for a new knife at the same time. In essence, you’ve provided a valuable resource while offering them an alternative solution. You are competitive by nature — it’s what makes you good at what you do. Here are three steps to help drive sales with social media monitoring and really beat the competition. Monitor social media for mentions of your competitors, specifically those mentions with a negative sentiment (i.e. customer complaints on Twitter, Facebook, etc…). Address it in your sales pitch as a competitive advantage. Believe me, if you know what the competition is doing wrong, so does your prospect. Use their preconceived reservations and concerns to your advantage. When appropriate, reach out directly to people who are complaining about your competitor and tactfully (this word is particularly important, so we’ll repeat it and bold it: tactfully) offer a deal. Keeping it tactful means keeping it very low-key and low-pressure. For instance, if someone Tweets about a long line at a hotel check-in, the hotel across the street can reach out with a simple Tweet: Sorry you had to wait so long. Next time you’re in town, I hope you’ll consider staying with us. Here’s a VIP code for 25% off! Your marketing team is working very hard to supply you with brand awareness and potential leads. By using your social media monitoring solution you can also find potential partnership opportunities to take to your marketing team that will not only drive sales, but make you into a crossover sales & marketing rock star. For example, let’s say you sell specialty running shoes which are only found online. You could search for companies that sell high-end sports ear buds because some of their customers are likely to be runners. When their customers talk about running and ear buds, you can reach out to them with an offer for your running shoes. But you can take it farther — work with your marketing team to reach out to the ear bud company and arrange a cooperative promotion to give away the ultimate runners combo (shoes, ear buds, a water-bottle belt and some music for their music player, for example). Your company and theirs will benefit from the crossover marketing, and you will have found a new way to drive sales. When done right, social media monitoring will empower you to take information to your marketing team that helps both them and you. You’re in sales, and you want to have the tools you need to create and close sales, and that’s exactly why social media monitoring is important. It provides the tools you need to drive sales, beat your competition and become a multi-faceted sales rock star. Leave a comment below telling us about a time you turned a social media post you found into a sales opportunity. 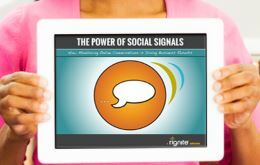 Free Trial of Rignite — software that’ll help you find and jump on sales opportunities on social media.